More than 20 miles of bike lanes should be added in Quincy, suggests the Metropolitan Area Planning Council. Before last year, the city had absolutely no bicycle lanes, according to Enterprise News. The council recently proposed a set of recommendations to the city’s planning board, and the main goal was to make the area more bike-friendly. Included in these recommendations is a plan to paint bike likes on a number of major roadways in the area by the end of this year. Our Quincy bicycle accident attorneys understand that bike lanes are critical to encouraging sustainable commuting in our area. With these bike lanes, we will be able to encourage more bicycle traffic while creating very little impact on the city’s public works budget. 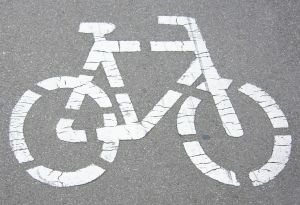 Although the county already identified the 23 miles targeted to get these bicycle lanes, there are some streets that are “high priority” and should get these lanes as soon as possible. Included in these “high priority” areas are Washington Street, Hancock Street and Adams Street. The Director of transportation planning for the site said that the recommendations will be sent to Public Works Commissioner Daniel Raymondi. Costs for the addition of bike lanes will vary by street but typically aren’t too expensive. The city’s first bike lanes were put in last fall on Adam Street as a part of a nearly $2 million reconstruction plan. Thankfully, expanding these lanes and making the area easier to walk and bike is one of the planning department’s top priorities and will fall under the more than $1.5 billion downtown redevelopment project. An estimated 761,892 adults in Massachusetts ride bicycles at least once a month in the summertime. With these more accessible and safer bike routes, officials believe that this number will increase tremendously. But with the addition of these bike lanes and the increase in ridership, we need to turn our attention back to safety. The same laws that apply to motorists apply to cyclists. Obey all traffic control devices and use hand signals to indicate stops and turns. Ride predictably in a straight line and avoid swerving. Bicyclists should next check to be sure that they are properly outfitted for bicycling. The single most important piece of safety equipment that you can use is a helmet. A helmet should fit the head snugly using the foam pads provided with it, and the chinstrap should be adjusted to hold the helmet firmly but comfortably in place. Make sure your bike fits you and your needs. Make sure that it’s the right size and is properly adjusted to fit you. A properly fitted bicycle is easier to control, more comfortable, and causes less fatigue. You also want to make sure that your bicycle is in good working order by inspecting it regularly.